It was an extremely difficult under bridge access project, that only JENIK’s team was able to solve with success. 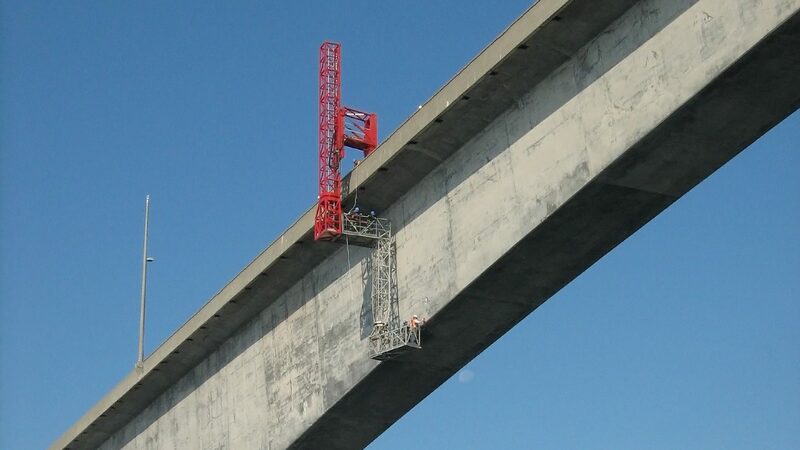 Our client wanted to access specific under bridge segments. This required the development of a new equipment. This accessory was designed to adapt itself to our J-160/53M unit to replace the gateway’s edge. Year after year, the public/private partnership require our services to give them the necessary under bridge access for annual inspections.